We were approached by Hikari Miso, Japan’s favorite miso. They wanted to launch a new brand explicitly designed for the US market. They created the brand MISOgood. MISOgood is a soup base and universal condiment that quickly brings depth and zest to everyday meals with authentic Japanese flavor. Under the MISOgood brand personality and style, they wanted to convey that this is delicious, friendly, and easy. Expressed also in their tagline: So Tasty. So Easy. So Good. The product is made using a 1000-year-old Japanese fermentation process with organic ingredients and pure spring water. It is made in Japan with expertise and the best ingredients. MISOgood is organic, non-gmo, gluten-free, vegan, high in antioxidants and contains healthy probiotics. The fermentation process creates probiotics that are good for digestion and “gut health.” It also contributes to better absorption of nutrients and, possibly, a stronger immune system. 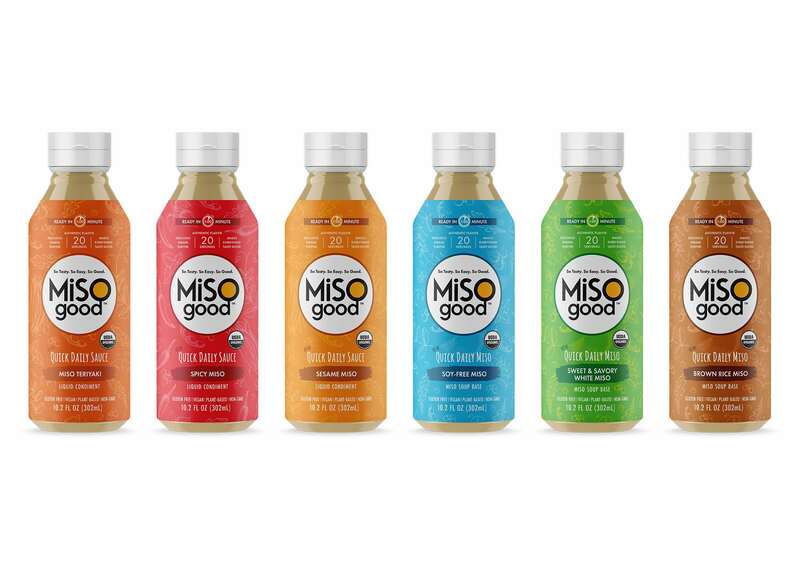 With all of this on board, we created package design for MISOgood. We created friendly handrawn graphics and bright bold colors to draw in the consumer. Our goal was to have the product stand out on the shelf when placed next to BBQ or other Asian flavored sauces or soup bases. We created elements like the minute timer to highlight to the consumer that this is a quick and easy soup or sauce. We highlighted important elements, like “NEW”, USDA organic, vegan, non-gmo, and gluten-free.